This page consists of multiplication drills on factors up to 10, factors up to 12, 2-digit times 1-digit and 2-digit times 2-digit. 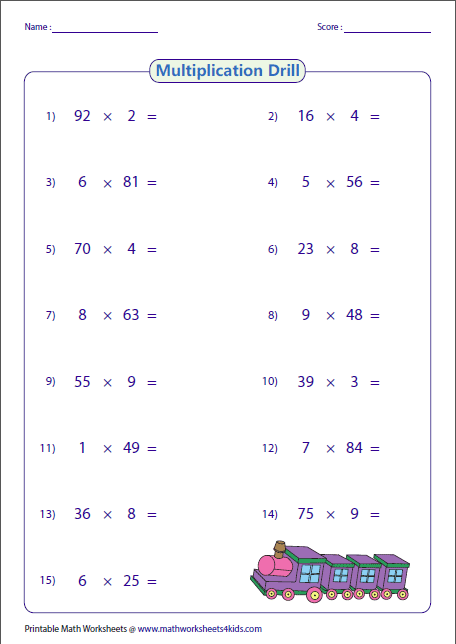 There is a wide range of multiplication drills from minimum 15 to maximum 100 per page. 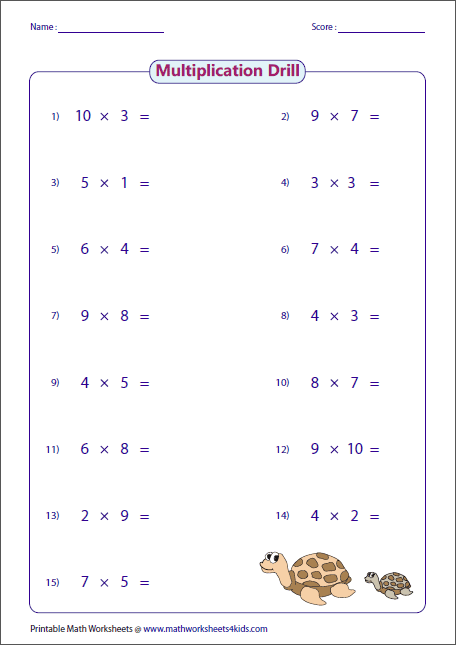 We also have printable multiplication tables and charts for your reference. 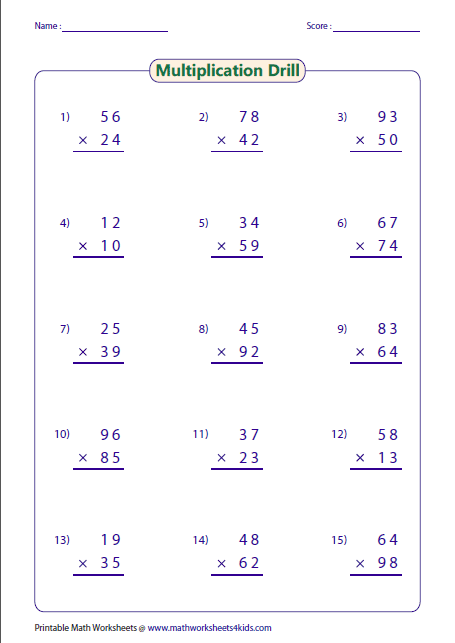 For online practice, please try our multiplication quiz. 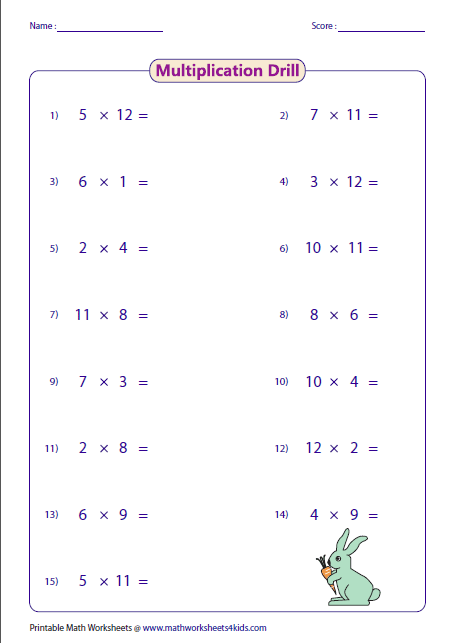 The worksheets have multiplication drills on factors up to 10. The problems in the worksheets are arranged either horizontally or vertically. Multiplication drills on factors up to 12. Select from 15 to 100 per page. The teachers and homeschool moms can challenge their children's multiplication skills by setting a time limit. The worksheets have multiplication problems on 2-digit multiplying 1-digit. Multiplicands are arranged either in columns or rows. There are worksheets from 15 to 25 per page either with grids or without grids. Each worksheet has problems on 2-digit multiplying 2-digit.